Evaluate Your Organization’s Opportunities to meet your goals. Retailers are vying for market share in an increasingly competitive environment. Shoppers are becoming more complex and demanding. Data and technology options are increasing in complexity with more and more big data. Retailers have a big opportunity to create well defined strategies and processes that will help align and guide their organizations so that they can achieve their goals and objectives. 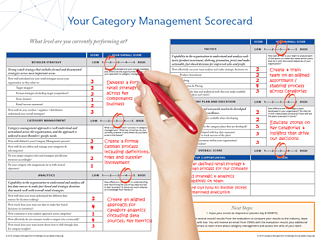 But where should you begin for category management in retail environments?